Team up for a cleaner India! The Ugly Indian : http://www.theuglyindian.com/ (TUI) is a citizen movement that focuses on solving one of India's largest problems: Dirty streets and public places. It is a grassroots movement that simply says: "Kaam Chalu Mooh Bandh" - i.e focus on doing, rather than voicing some inane opinion. Most people who do a 'spot fix' are people who are probably never identified! 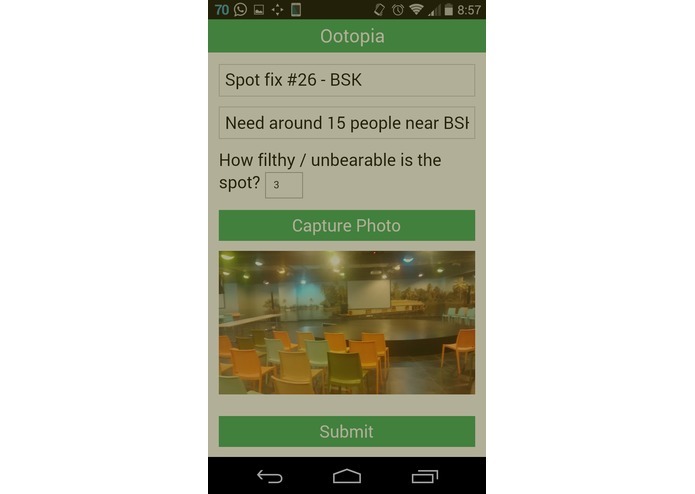 This app is inspired mostly by them and also the very recent 'Swachh Bharat' Mission. 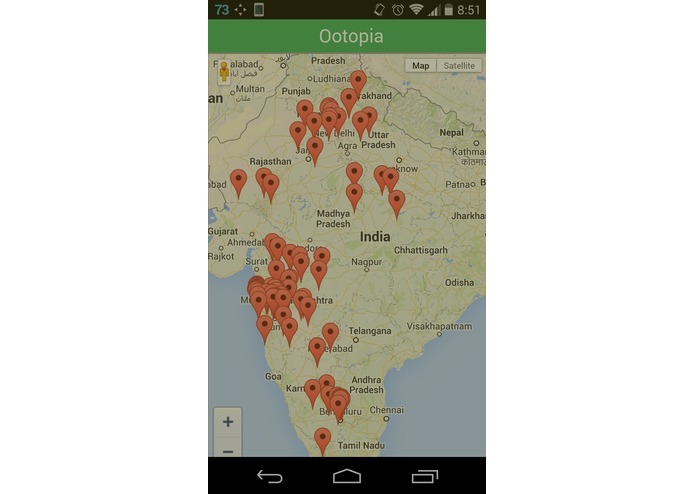 We call this app Ootopia - a spin of the word 'Utopia' - the Ideal world. 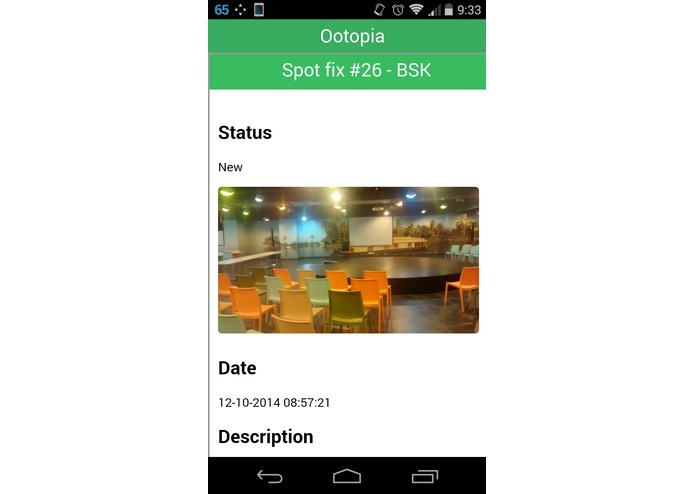 The app is very simple - it allows a user to take a photo of an area that needs cleaning up. The photo is then uploaded with a description, along with Geo data - Latitude and Longitude. There is also a 'difficulty' value that is assigned. Users (both the authorities and citizens) can access these 'blips' using a map interface - allowing prompt action to be taken. 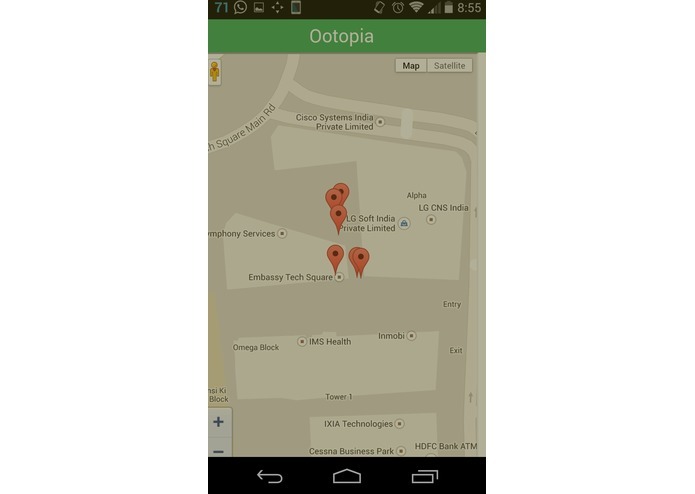 We allow users to identify hot (or rather dirty) spots which need immediate action. Ultimately, the goal is to use the power of crowd-sourcing - to identify; and introduce an aspect of accountability - to clean up the streets of India.